We see a lot of neat things on our photo adventures that we want to share just for fun. Although these images didn't quite make the cut to be in our portfolio galleries, we still think they are fun to look at. Let us know if you would like to purchase one (since they aren't in our store by default), and we can set it up! 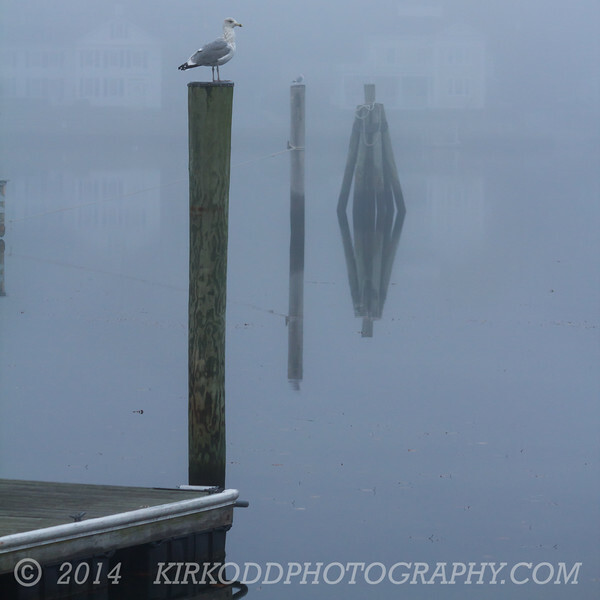 Seagulls perch on wooden pilings in the Mystic River on a foggy day. The river was as smooth as glass, producing a wonderful reflection of this calm scene upon the surface of the water.